MUNICH -- Prosecutors in Munich said Audi as a corporation had become part of a probe into diesel emissions manipulation that so far has targeted individuals. Prosecutors have been investigating unknown individuals at Audi and last Friday launched penalty proceedings against current and former members of the Volkswagen Group luxury division's executive board. German authorities are entitled to fine a corporation up to 10 million euros ($11.8 million) and seize profits even beyond that level if its managers are found violating the law, according to experts. Audi, which contributed nearly a third to VW Group's 8.9 billion euros of first-half profit, plunged more deeply into the diesel emissions probe in recent months as prosecutors stepped up the search for culprits in Germany and the United States, where the diesel scandal broke almost two years ago. 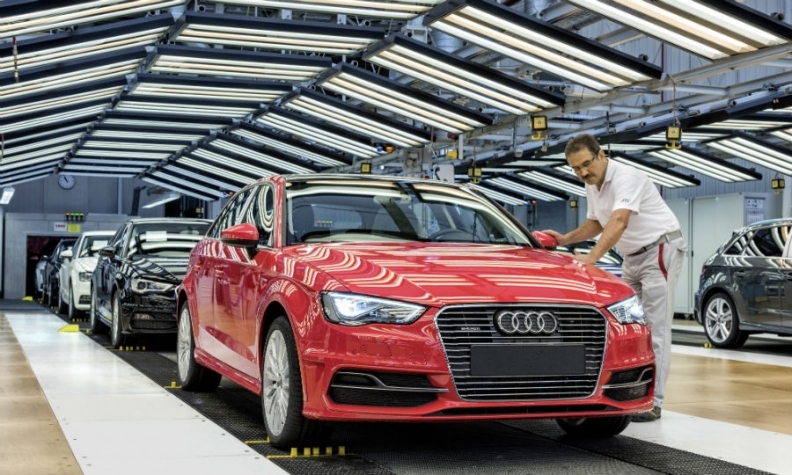 Last month, Munich prosecutors arrested an Audi employee on suspicion of fraud and false advertising, the first arrest in the carmaker's home market related to the diesel scandal. In March, Munich prosecutors searched offices at the carmaker's Ingolstadt-based headquarters where about 43,000 staff build models including the A3 compact and A4 saloon, as well as the premises of Jones Day, the U.S. law firm hired by VW to lead an investigation into the emissions scandal. Audi confirmed it had been notified by prosecutors and will continue to cooperate constructively with the Munich-based authority.